This section details the CD re-issues of titles from Ant's back catalogue by the Cherry Red Records label Esoteric Recordings. The titles are listed here in the order of release. A three disc (2 CDs, 1 DVD) clamshell boxset release of Ant's debut solo album. The set includes a new 5.1 surround sound mix of the album along with a newly re-mastered version of the original stereo mix and a CD of additional tracks. The latter also includes the previously unreleased 1973 recording of Only Your Love as an extra track. A five CD clamshell boxset containing the first four Private Parts & Pieces albums (Private Parts & Pieces, Back To The Pavilion, Antiques and A Catch At The Tables) along with Private Parts & Extra Pieces, an 18-track CD of previously unreleased material. A four disc (3 CDs, 1 DVD) clamshell boxset release of Ant's second solo album, which was originally released in 1978. The set includes brand new stereo and 5.1 surround sound mixes of the album along with the original mix and a CD of extra tracks. 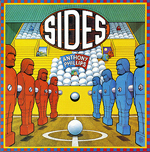 A four disc (3 CDs, 1 DVD) clamshell boxset release of Sides, which was originally released in 1979. The set includes brand new stereo and 5.1 surround sound mixes of the album along with the original mix and a CD of extra tracks. 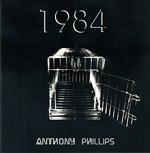 A three disc (2 CDs, 1 DVD) digipack release of 1984, which was originally released in 1981. The set includes brand new stereo and 5.1 surround sound mixes of the album along with a CD of extra tracks. 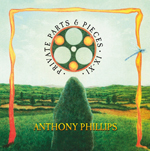 A five CD clamshell boxset containing the second four Private Parts & Pieces albums (Twelve, Ivory Moon, Slow Waves Soft Stars and New England) along with Private Parts & Extra Pieces II, a 19-track CD of previously unreleased material. A three disc (2 CDs, 1 DVD) digipack release of Slow Dance, which was originally released in 1990. The set includes a newly re-mastered original stereo mix, a 5.1 surround sound mix of the album and a CD of extra tracks. A two CD digipak release of Invisible Men, which was originally released in 1983 in the US and in 1984 in the UK. It includes an extra CD of 16 previously unreleased tracks. A four CD clamshell boxset containing the three most recent Private Parts & Pieces albums (Dragonfly Dreams, Soirée and City of Dreams) along with Private Parts & Extra Pieces III, an 18-track CD of previously unreleased material. A three disc (2 CDs, 1 DVD) digipak release of Field Day, which was originally released in 2005. The set includes a 5.1 surround sound mix of the album. 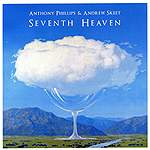 A four disc (3 CDs, 1 DVD) clamshell boxset release of Seventh Heaven, which was originally released in 2012. The set includes a CD of previously unreleased material together with the 1973 recording of the hymn Take This Heart and a 5.1 surround sound mix of the album.